MONTREAL — Helene Laverdiere, a self-described "accidental" NDP MP who defeated Gilles Duceppe in both the 2011 and 2015 elections, has announced she won't run again next year. Duceppe was blunt when asked about Laverdiere's decision to not seek re-election. "I have nothing to say about that, it's her choice," he said Monday when contacted by The Canadian Press. The New Democrats vaulted over both the Liberals and the Bloc Quebecois to form the official Opposition for the first time in its history. Laverdiere credited hard work for her repeat performance in 2015. "I spent a bit over four years doing my work as best as I could and people seemed to be happy with what I did and re-elected me in 2015," she said. Laverdiere pointed out she will be 64 next April and that it is time to pass the torch and make room "for a younger generation — for fresh blood." "If I ran again and won my election, that would bring me close to 70 years old," she said. "For me, I think in my life, it's time to take time for my husband, my family (and) my friends." The NDP's foreign affairs critic is a former diplomat who is bilingual and lists Chinese and Spanish on her parliamentary profile. Her announcement comes four days after longtime Hamilton Centre MP David Christopherson said he will not seek re-election. 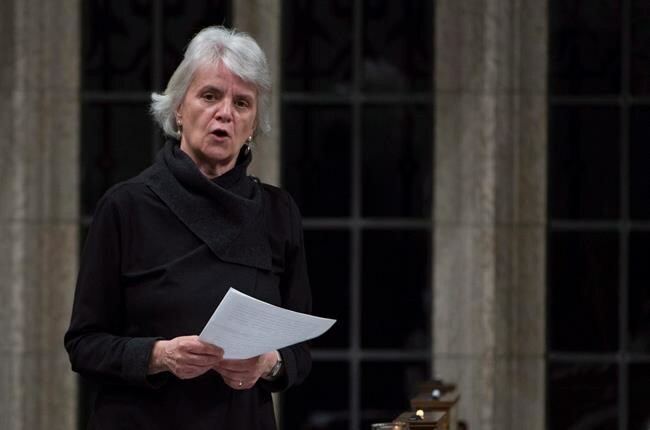 Christopherson was first elected to the Commons in 2004 and has served as deputy NDP leader since 2012. Singh, meanwhile, has said through a spokesman he won't be paid by the NDP until the party's finances become rosier.